Charitable and philanthropic organisations have a chance to lead their own “transparency and accountability” agenda – before it overtakes them, argues Dr Tessa Boyd-Caine who undertook the inaugural Fulbright Professional Scholarship in Non-profit Leadership in 2014. This article marks the publication in full of her research into sustaining trust and confidence in Australia’s charities. In case there was any doubt, recent scandals in the charitable sector have reaffirmed how deeply people care about what charitable and philanthropic organisations do with the funds they collect. Accusations about the Shane Warne Foundation’s failure to disburse funds raised for its charitable purpose forced its eventual closure. Only last week parents used national media to air their allegations that a housing provider Sylvanvale was double-dipping for the same costs of housing their children living with disabilities. The capacity of charitable and philanthropic organisations to meet our missions depends heavily on outside support. We rely on our funders and donors, on our volunteers, on paid employees who often work above and beyond their remunerated responsibilities. Most importantly, we rely on the engagement of the communities we work with and in. Given this heavy reliance on others, we should expect and respect that people will want to know how we resource our work. Such information is a basic measure of our accountability and transparency. It is also the central tenet on which the public’s trust and confidence in charitable and philanthropic work is based. In an age where digital platforms are disseminating information and disrupting everything around us, charities don’t need to sit back and wait for people to ask about how we resource our work. There are plenty of tools we can use to sustain the public’s trust and confidence in what charities do and why it matters. Our colleagues overseas are already doing this. Lead or be left behind: sustaining trust and confidence in Australia’s charities is my report of how American charitable and philanthropic organisations maintain trust and confidence in what they do; and what we can do to incorporate approaches like these in the Australian charitable and philanthropic sectors. It is based on over 100 interviews and observations with charitable and philanthropic organisations across the US on how they maintain their own transparency and accountability. The report is also informed by the game-changing establishment of the Australian Charities and Not-for-profits Commission (ACNC) and the opportunities that presents. 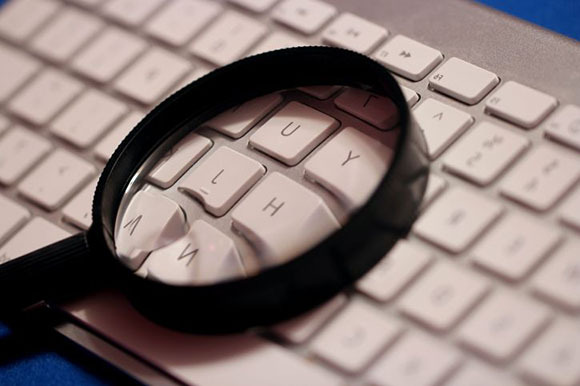 The increasing availability of reliable data on charities, including but not limited to that from the ACNC, and the emergence of new and innovative technological platforms to engage with those data, will transform the mechanisms of charitable transparency and accountability, as it is doing in many other sectors. If charitable and philanthropic organisations engage with these transformational processes directly, we can learn more about social purpose and community wellbeing, and be better able to tell the story about what we do and why it matters. We have a moment, right now, when charitable and philanthropic organisations can use the growing body of reliable data about us as a vehicle to support our own transparency and accountability. This is the best chance charities have of leading the processes that build public trust and confidence in us. Challenging the “overhead myth” – the idea that charities shouldn’t invest in their own operating capacity – is an ideal reason to use data to build trust and confidence in what we do. Charitable organisations need to ensure they are well run; that their staff, on whom their effectiveness mostly depends, are trained and remunerated appropriately; that their IT and equipment are efficient for 21st century operations. They also need to be transparent and accountable about these costs are critical to achieving their charitable mission. This isn’t because it’s a requirement by law or regulation. It’s because, at its heart, this is how charitable and philanthropic organisations build and maintain the trust and confidence of the people we rely upon to do what we do. In my own job, I’m in the early days of establishing a national centre to support partnerships that improve health and justice outcomes. Our capacity to demonstrate effectiveness is critical to sustaining these partnerships. But we need to be as open to our failings as we are to our successes, as transparent about the challenges of working in partnership as we are about its benefits. If we are serious about improving people’s lives, we have to be able to demonstrate we are doing that; and if we fail to improve lives, we have to be honest about that failure in order to learn from it. How the stories of charitable purpose and effectiveness are told will be transformed either way; with or without charities at the heart of their telling. If charities ignore the changing ways that data and digital platforms are providing access to information, charitable activity will be as vulnerable to disruption as the many other sectors in which data and technological innovation have combined to challenge well-established approaches. Charities that don’t – or won’t – lead in using data about themselves will render themselves irrelevant in the conversations that matter most to us: about social progress towards improving health, justice and wellbeing; and about the critical role of civil society organisations, like charities and foundations, in achieving that progress. About the author: Dr Tessa Boyd-Caine is CEO of Health Justice Australia, the national centre for health justice partnership. Lead or be left behind: sustaining trust and confidence in Australia’s charities is published with the support of Origin Foundation and is based on Tessa Boyd-Caine’s 2014 Fulbright Professional Scholarship in Non-profit Leadership, supported by Origin Foundation and Australian Scholarships Foundation. She has worked in health, criminal justice and human rights organisations in Australia and internationally and was previously deputy CEO of the Australian Council of Social Service. 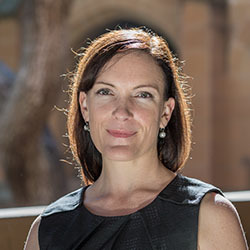 Boyd-Caine will be giving a public lecture on the findings of her Fulbright work at the Centre for Social Impact, University of Western Australia in Perth on Wednesday 10 August, and will be discussing them as part of a panel at the Philanthropy Australia Conference in Sydney on 22 September 2016. Applications for the 2017 Fulbright scholarship close 1 August 2016. If the definition of allegation is a claim or assertion that someone has done something illegal or wrong, typically one made without proof, please be know that we are very eager to display our proof.